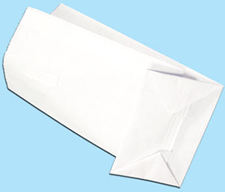 Leak Proof Paper Bags by Extra Packaging, Corp.
Our bags are leak proof, sift proof, and heat sealable for such uses as: agricultural chemicals, confections, dry foods and more. Available with or without tin ties. Custom printing also available. 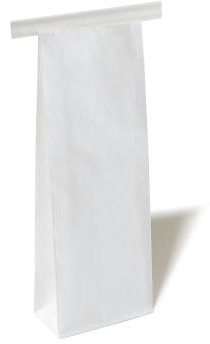 Our leak proof bags are custom made bags. Below are examples of sizes and options that we can supply. You may also wish to visit our website PlantSampleBags.com for in-stock, ready-to-ship plant and soil sample bags.